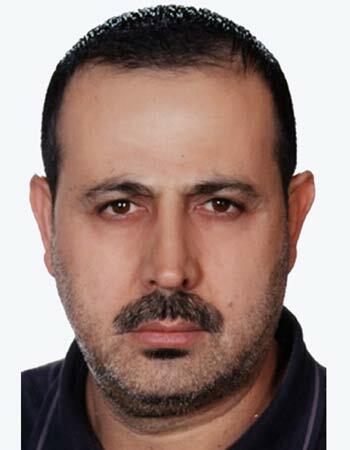 I’m sure that many of you remember Mahmoud al-Mabhouh, the Hamas murderer who was liquidated in his Dubai hotel room in January 2010, allegedly by the Mossad. One of the Stratfor email chains that was released by Wikileaks on Monday claims that the Mossad did not liquidate Mabhouh itself. According to the email – which unfortunately has no further follow-up that I have seen – Mabhouh’s demise was brought about by a subcontractor acting on the Mossad’s behalf. (Unlike previous emails I have posted, this one is in reverse chronological order). I have VERY good information this was a contract job. The mission was contracted by the MOSSAD. In essence, subbed out under contract. The last few hits have been subbed out. I also have VERY good information that the Iranian physicist hit was also a subbed out job. More in person at the T meeting Tuesday, can’t put anything in writing. > Ah, that makes more sense. That daily mail story was pretty sensationalized. ICSR is pleased to announce the release of its newest report, As American As Apple Pie: How Anwar al-Awlaki Became the Face of Western Jihad, by Research Fellow Alexander Meleagrou-Hitchens. This study provides the first forensic analysis of Anwar al-Awlaki’s work, which tracks his ideological path from a supposedly moderate preacher to an al-Qaeda recruiter. A WikiLeaks publica um documento com a análise de Jorge Silva Carvalho sobre as interferências e manobras da Austrália em Timor e a transmissão das preocupações portuguesas face à interferência australiana que fez à embaixada americana em Lisboa. Pelo vista, até há uma tradição de intercepção das comunicações da secreta portuguesa… Mal sabia o discreto Silva Carvalho que a tanta exposição e visibilidade estava destinado! O documento é muito interessante, sobretudo, porque mostra bem como o SIED estava bem informado sobre a situação no terreno em Timor e sobre as manobras australianas e seus objectivos (controlo do gás e petróleo de Timor). Leaked diplomatic cables sent from the US embassy in Lisbon, Portugal in June 2006 have revealed that a leading Portuguese intelligence official told American diplomatic officials that the Australian government had repeatedly “fomented unrest” in East Timor, in order to advance its “geopolitical and commercial interests.” The extraordinary exchange occurred two weeks after Canberra had dispatched a military intervention force to the oil and gas rich state, as part of its “regime change” campaign against Timorese Prime Minister Mari Alkatiri. Australia has reacted furiously to the publication of names of Australians on the United States terror watch-list, revealed in cables released by global whistleblower WikiLeaks. The 23 people identified in cables signed by US Ambassador Jeffrey Bleich were alleged to have links with Yemeni-based Muslim cleric Anwar al-Awlaki, who has advocated violence against the West and who has been implicated in planned terror attacks against America. Dagan’s comments Sunday during a symposium on regional strategy at the Hebrew University in Jerusalem, the first time he has publicly opposed military action against Iran, challenged hard-line Prime Minister Binyamin Netanyahu. A “ransom” that was paid for the release of two kidnapped Canadian diplomats increased the strength of al-Qaeda in Africa, Libya’s foreign minister complained, according to a diplomatic cable released by WikiLeaks. The cable dated 2009, describes comments made by Libyan Foreign Minister Musa Kusa regarding the release of the Canadians that year.